It's been an eventful couple of weeks - a bit of a rollercoaster with an ill puppy who was in animal hospital for 4 days while I was on a business trip to Germany and the burden falling on Himself who had to give up a planned trip to Snowdonia. The good news is B. Dogg has recovered his energy and interest in the world although we still don't know the cause of his illness. So, crafting has been confined to doodling and sketching characters for use in future projects. One of those characters is this one collecting hearts in jars. There's no deep meaning to this page. 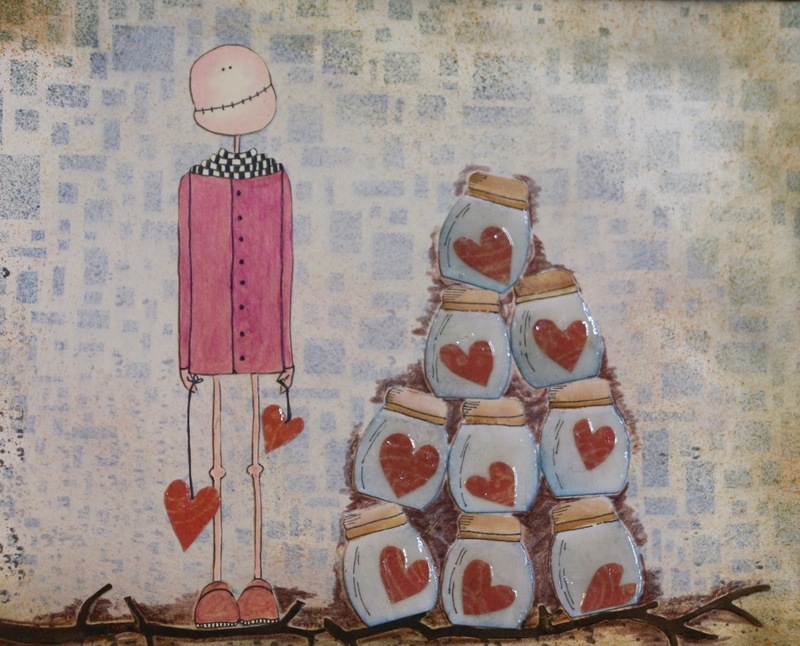 I had roughly sketched the person and was wondering how to use it when a song came on the radio with lyrics including "jar of hearts". 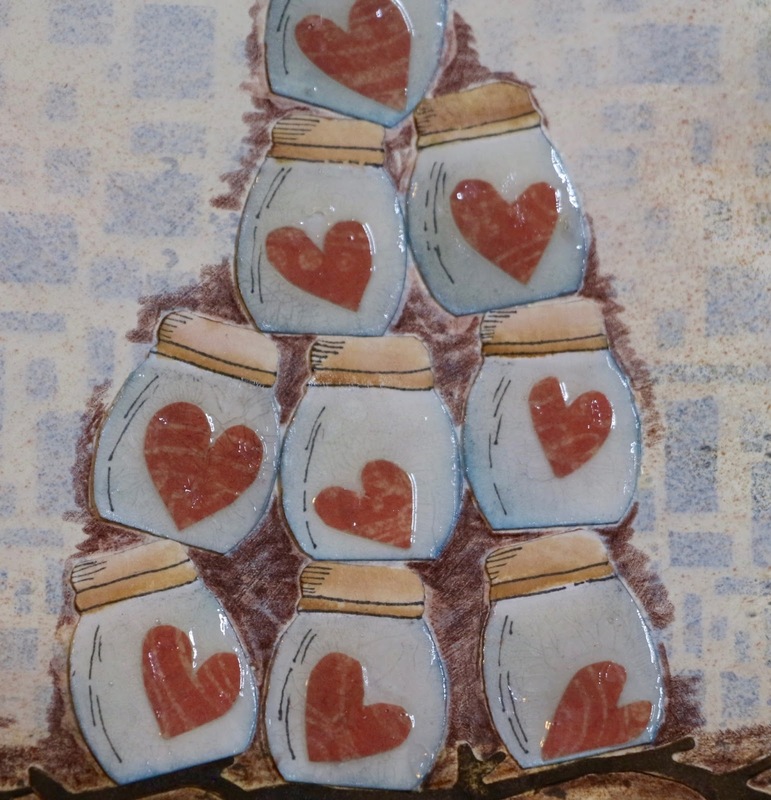 The jars were easy to draw and cut out, hearts were cut from card and stuck in the middle of each jar which was then given a cover of glossy accents to make it look like glass. The work trip to Germany was interesting because of the unusual hotel which hosted our conference. 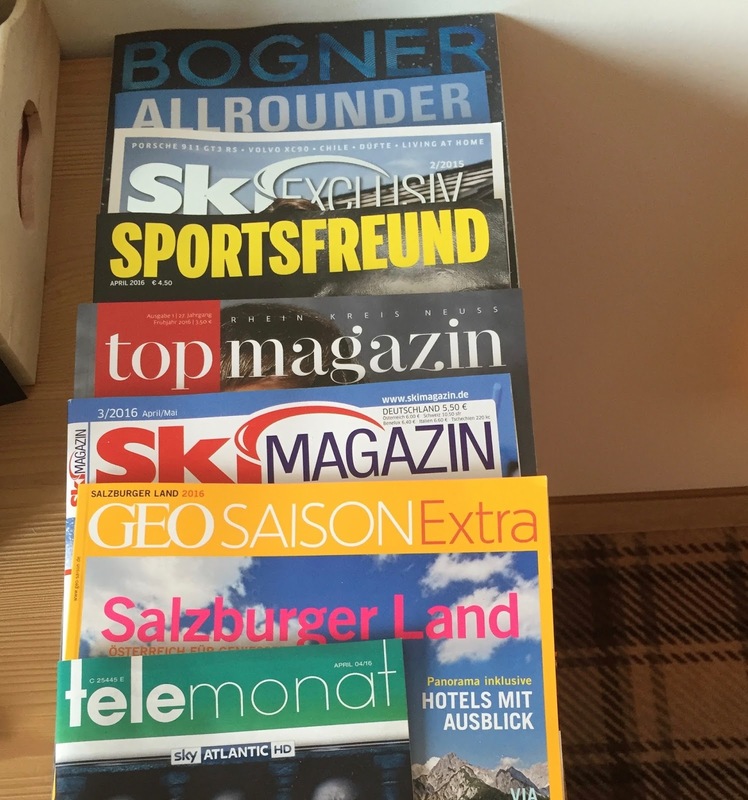 It's in northern German beside a busy autobahn but when you step inside, it's decked out like an Alpine ski lodge. Much fun but the view from my room was of the exterior structure of the piste which was a bit gloomy. The magazines in the rooms were clearly targeted at sporty types so I ignored them. 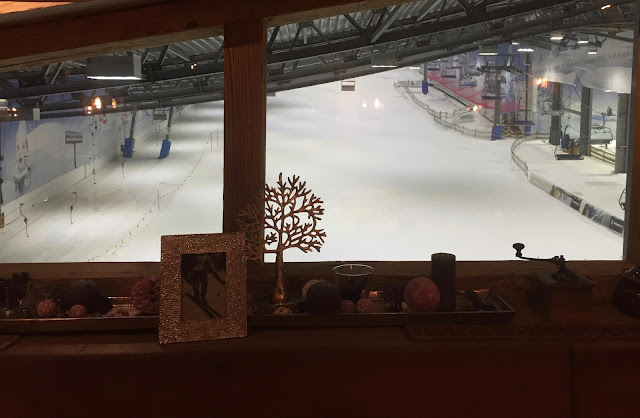 And the view from inside the wooden clad restaurant was of the inside of the piste. The staff wore traditional Bavarian costume and their friendly service was accompanied by booming ooom pah music. 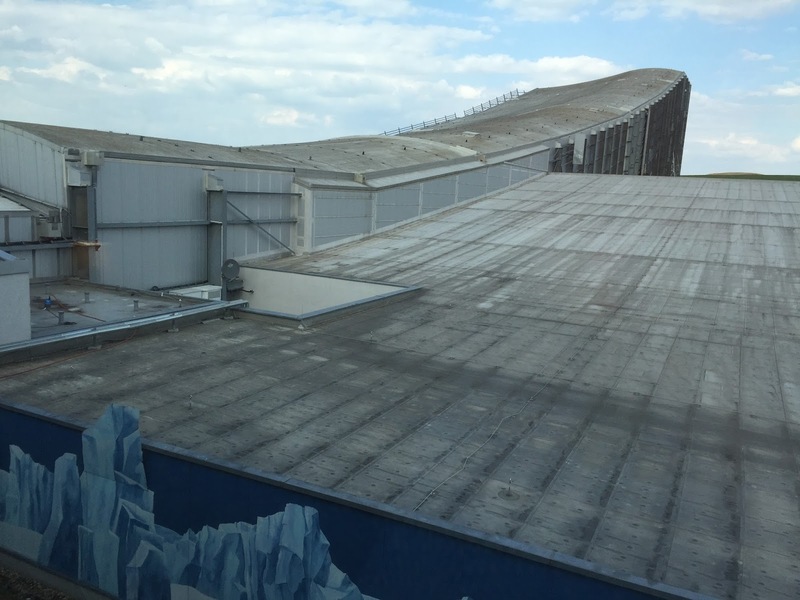 If you like skiing, this is is the place for you!